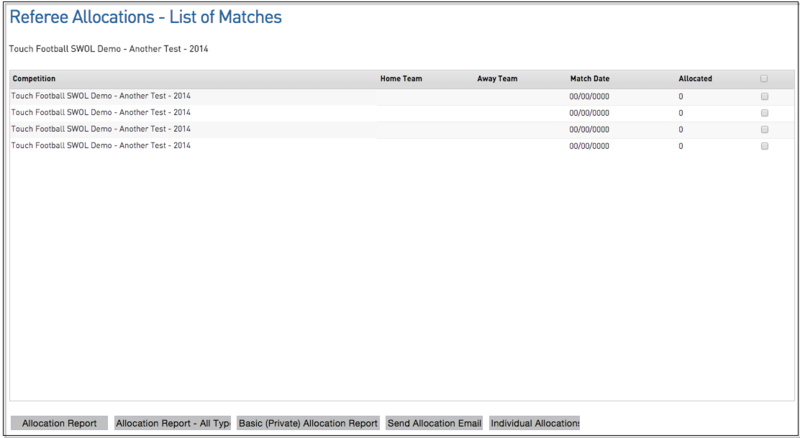 At the bottom of the match allocation screen there is the ability to run reports on your official allocations. 1. 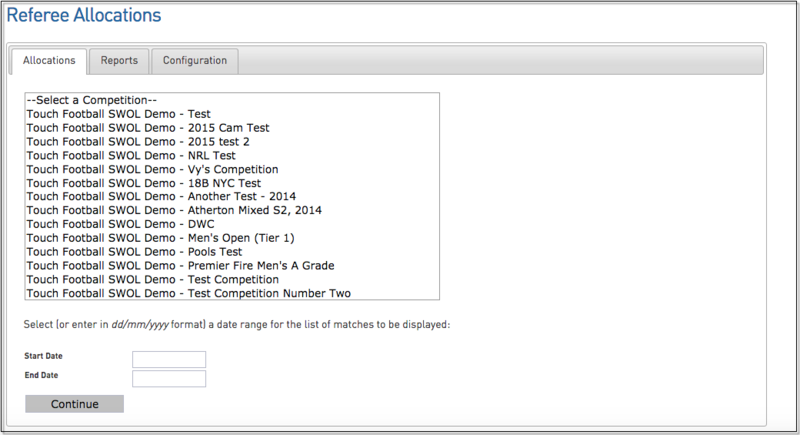 Hover over Competition Management and click Referee (Match Official) Allocation. 2. A list of matches will appear.